*AdvaCare Furosemide Injections is GMP certified. **AdvaCare Furosemide Injections is manufactured in our facilities located in China, India and USA. AdvaCare is a GMP manufacturer of Furosemide injections. 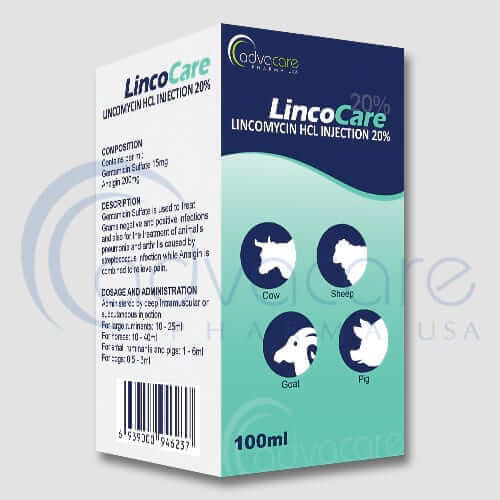 Furosemide injection is an effective diuretic-saluretic drug which is used in the treatment of acute noninflammatory tissue edema in dogs and horses, and for use in the treatment of edema (pulmonary congestion, ascites) associated with cardiac insufficiency in dogs. In cases of edema involving cardiac insufficiency, the continued use of heart stimulants such as digitalis or its glycosides is indicated. Furosemide is pharmaco-dynamically characterized by a high degree of efficacy, low-inherent toxicity and a high therapeutic index. It has a rapid onset of action and of comparatively short duration. The intravenous route produces the most rapid diuretic response. Furosemide acts in the functional area of the nephron, i.e., proximal and distal tubules and the ascending limb of the loop of Henle. As with all veterinary medicine, some unwanted effects can occur from the use of furosemide injections. Always consult a veterinary physician or animal care specialist for medical advice before use. Common side effects include: dehydration, increased thirst, lethargy, drowsiness or restlessness, fatigue, oliguria, gastrointestinal disturbances and tachycardia. Always consult a veterinary physician or animal care specialist before using furosemide injections. Furosemide is indicated for the treatment of edema which can be pulmonary congestion or ascites associated with cardiac insufficiency. It is also used in acute non-inflammatory tissue edema in dogs, cats and horses. 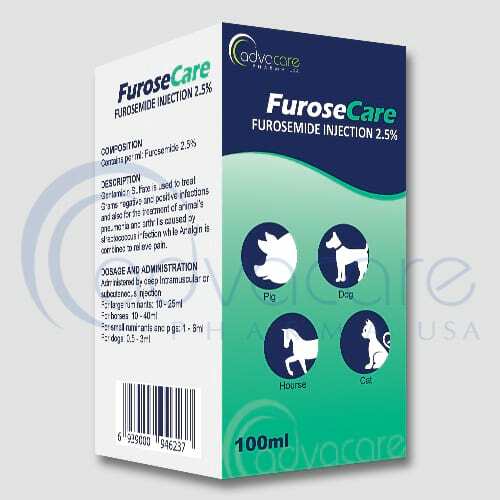 Furosemide is also indicated for the treatment of biological parturient edema of the mammary gland and associated structures in cattle. Furosemide is a chemically distinct diuretic and characterized by a high degree of efficacy, low-inherent toxicity and a high therapeutic index. It has a rapid onset of action and of comparatively short duration. Furosemide stimulates the rapid removal of abnormally retained extracellular fluids. Furosemide is contraindicated in anuria. Treatment should be discontinued if renal impairment along with azotemia and oliguria is reported during the course of therapy. A careful observation is always recommended during period of treatment to avoid electrolyte imbalance in an animal with cirrhosis which may further lead to hepatic coma. In hepatic coma and in the state electrolyte depletion, therapy should be discontinued until the condition is improved. Potassium supplementation may be necessary in cases routinely treated with potassium-depleting steroids. 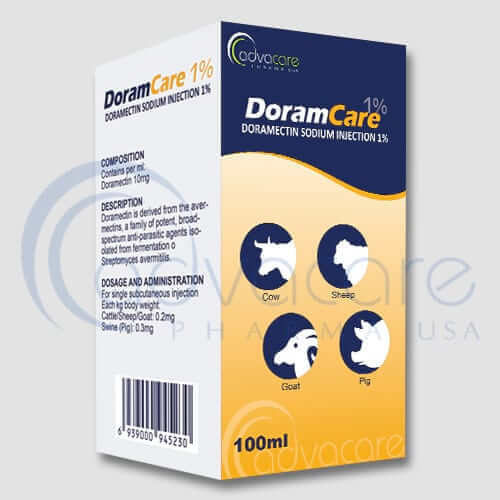 Usual dosage is as follows: 0.25 to 0.50 mL per 10 pounds body weight once or twice daily at 6 to 8 hour intervals in cats and dogs; 0.5 mg/lb body weight (1.0 mg/kg) in horses once or twice daily at 6 to 8 hour intervals either intravenously or intramuscularly. Furosemide injections shouldn’t be administered if any hypersensitivity is discovered. Recommended administration of the injection should be once or twice daily between a 6 to 8 hourly intervals between consecutive treatments. Milk taken from animals during and after 48 hours of the treatments must not be used for consumption. Cattle must not be slaughtered within 48 hours from the last treatment for consumption. Refer to an animal care specialist for guidelines on dosage. Do not exceed what they advise, and complete the full treatment, as stopping early can result in a recurrence or worsening of the problem. 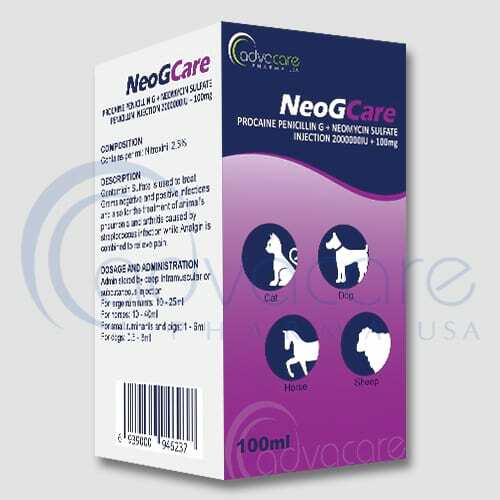 Furosemide injection should be given under careful supervision of a veterinary doctor. Excessive amount of furosemide may lead to dehydration and electrolyte imbalance. Therefore, the dosage and schedule should be adjusted to the need and bodyweight of the animal to avoid electrolyte imbalance. Early signs of electrolyte imbalance are: increased thirst, lethargy, drowsiness or restlessness, fatigue, oliguria, gastro-intestinal disturbances and tachycardia. Therefore, special attention should be given to potassium levels. 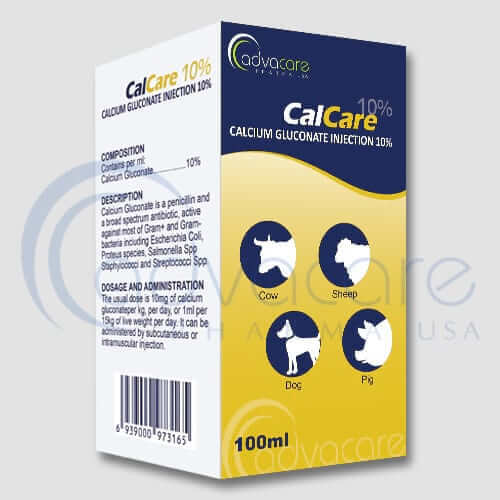 Furosemide may lower serum calcium levels and cause tetanus in animals having rare cases of hypocalcaemia. Furosemide is a highly effective diuretic, whenever giver in excessive amounts or in combination with other diuretics, may lead to excessive diuresis which could result in electrolyte imbalance, dehydration and reduction of plasma volume enhancing the risk of circulatory collapse, thrombosis, and embolism. Therefore, animals should be observed for electrolyte imbalance, and corrective measures should be taken. Severity of side effects is increased with the administration of overdose; therefore, it may also cause electrolyte imbalance, excessive fluid retention, and excessive loss of potassium in animals receiving digitalis or its glycosides. Interaction with ethacrynic acid and lithium has been reported.